Mr. Ron Taylor received a Bachelor of Arts from University of Saskatchewan and a Master of Arts from UC, Irvine. He served in management roles at Allergan Pharmaceuticals and was responsible for the operations and international sales at Hybritech, Inc. Mr. Taylor went on to found Pyxis Corporation and served as Chairman, President, and Chief Executive Officer until 1996. 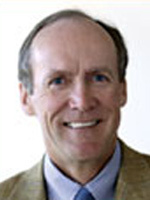 He has served as a director for Watson Pharmaceuticals, Inc., Red Lion Hotels and ResMed, and as Chairman of the Board of 3E Company, EMN8 Corporation, Asteres, Inc. and Aethon, Inc. Mr. Taylor has also served as Chairman of the UC, San Diego Foundation and the ResMed Foundation. At the time of this interview, Mr. Taylor was Chairman, President, and Chief Executive Officer for Pyxis Corporation.